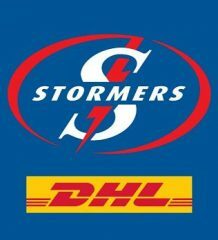 Southern KingsHead Coach, Deon Davids, has made just three changes to his starting lineup, including one rotational change, ahead of the Kings final match of the 2016 Vodacom Super Rugby season, when they take on the DHL Stormers in Cape Town on Saturday. Steven Sykes returns to captain the side, replacing Schalk Oelofse at left lock, while Dewald Human gets a starting birth at flyhalf for the first time. Oelofse is currently on the bench, but had a niggle with his shoulder during training this morning, and Davids has announced Sintu Manjezi as a possible alternate for him. “I am still waiting for feedback from our physios regarding Schalk, but if he is not available it would be a straight swop with Sintu,” he said. Davids has also rotated Davis and Engelbrecht at 8th man, with Engelbrecht starting. “We thought we would use this opportunity to see what Dewald Human can do at 10, we brought him down to see what he can do in the flyhalf position. He has been training in this position leadng up to the game and we have liked what we have seen. “Dewald has good vision, a good passing game as well as being a good kicker in both tactical kicking and kicking to poles, so we are really excited to see him playing there,” he said. Davids said the team had enjoyed the season and were looking forward to the last game. “We are going to enjoy ourselves and are looking forward to the challenge,” he said. 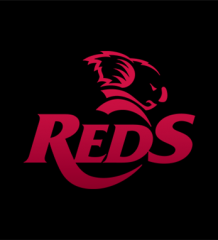 Davids said he had been heartened by the performance of the Kings against the Emirates Lions last week, and the improvement of the players week on week, but would be looking for a full eighty minutes from his team this weekend. “We knew from the start it was going to big season for us, especially due to the challenges of not having a proper pre-season to assist with conditioning,” he said. Davids said he had spoken to the team about remaining focused after the half time break, and the expectations on the reserves to make an impact in the game.